It’s about the time for holiday shopping. It can be rough looking for gifts that people will like. But there’s no better way to show care for your loved ones than to help them live a healthier and more enriching life. And to make your life easier this year, we want to give you the best guide to doing just that. 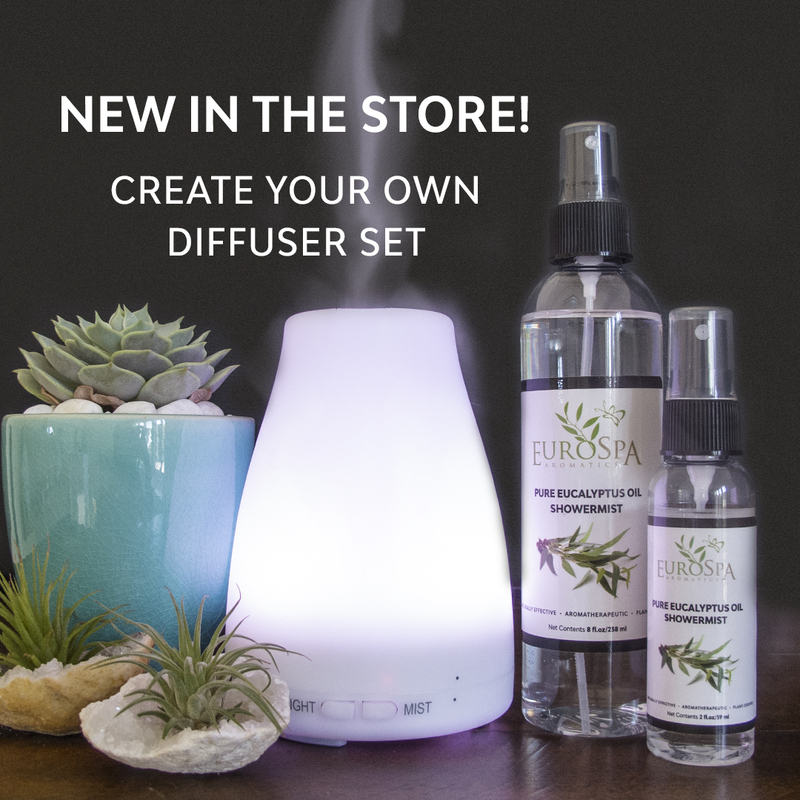 NEW Aromatherapy Diffuser Set: You can now create your own aromatherapy diffuser set. Including one diffuser and a Eucalyptus ShowerMist of your choice, you can create a wonderful atmosphere with Eucalyptus. A diffuser will keep a home smelling fresh and clean, enhancing the powerful scent of Eucalyptus and choice of infusion. It can also keep everyone at home healthy and feel uplifted this holiday season. Gift Basket of Assorted Mint-Eucalyptus Products: Fill a basket with an assortment of holiday smells that will bring some relaxation and new energy to a stressed out person. Know someone who loves the scent of Mint? Pamper them with our Menthol and Mint-Infused ShowerMists along with Menthol Crystals. These gifts will allow them to enjoy the refreshing aroma in several capacities. Yoga Mat Cleaner: Do you have friends or family that love to do yoga? Well, we’ve got the perfect gift for them. Our Lavender-Infused Eucalyptus Yoga Mat Cleaner will enhance their yoga experience and keep their mat free from germs and microbes that could make them sick. Besides the health benefits, the Lavender-Eucalyptus aroma will relax and calm them, allowing them to more deeply enjoy performing yoga. Want more gift ideas for the holidays? Then sign up for our newsletter right now!